On the afternoon of 2 March 1987, at 1:42pm, the Bay of Plenty region was rocked by a magnitude 6.3 earthquake. The earthquake was the most damaging New Zealand had experienced in recent decades, with approximately 50% of the houses in Edgecumbe being damaged and 35 people being seriously injured. Just after 1:42pm on 2 March, 1987, an earthquake measuring 6.3 on the Richter scale struck the Bay of Plenty. 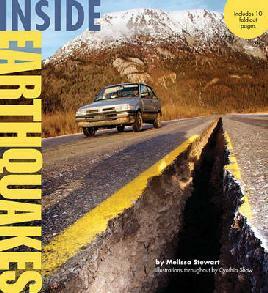 In the two months before the big shock, there had been a swarm of earthquakes of different sizes and intensity. The most damage on 2 March was suffered by Edgecumbe, but Whakatane and Kawerau were also severely damaged. One person died from a heart attack, possibly caused by the shock of the earthquake, but there were no other deaths. Roads split open, and brick cladding fell off houses. At Bay Milk Products in Edgecumbe, pipes and silos collapsed, spilling milk. Two milk tankers were thrown over onto one side by the force of the quake. An 80 tonne train toppled sideways in the Edgecumbe railway yards, and several kilometres of railway line in the area buckled in the earthquake. Water flows were disrupted in a number of places. The Rangitaiki River stopped flowing for about 10 seconds, then came pouring back. One woman watched as water poured out of her swimming pool and settled, 5 metres away. Everywhere people struggled to keep on their feet. Most injuries were minor cuts and bruises, but 35 people were seriously injured. One man ended up lying under a pile of circular saw blades. A woman was hurt when a piano fell on her, and another was struck by a bull which had been sent flying through the air. 40 houses in Kawerau were evacuated because the hillside above them was unstable and could have slipped. 3000 people were moved out from south of the Matahina hydro dam in case it gave way. Others left their homes and camped or stayed in local schools, halls or marae. One person died from a heart attack, possibly caused by the shock of the earthquake. Because the earthquake was very shallow, at about 8 kilometres from the earth’s surface, it was felt over a large area. The largest aftershock was measured at 5.5 and struck at 1:52 pm. The earthquake was centred between Matata and Edgecumbe. A foreshock just minutes before had cut the power supply and many people had moved away from heavy machinery and out of their houses. This probably saved a number of lives. A crack 7 kilometres long opened in the Rangitaiki Plains near Edgecumbe. It is now known as the Edgecumbe Fault. At one point the land close to the fault dropped 2 metres. 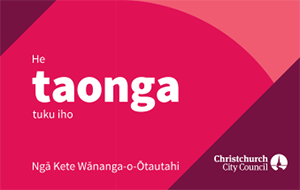 In Edgecumbe and Te Teko water and sewage systems were not working. Portable toilets were set up, and people were told to boil their water. Many roads were blocked by slips or had split open, making it impossible to use them. 50% of the houses in Edgecumbe were damaged. It was estimated that the Edgecumbe earthquake cost $300 million. Caught in the crunch: earthquakes and volcanoes in New Zealand, Rebecca Ansell, Auckland, 1996. New Zealand tragedies: earthquakes, Anna Rogers, Wellington, 1996. Search our catalogue for information about the Edgecumbe Earthquake.